On-site Catering available for 25 people or more. 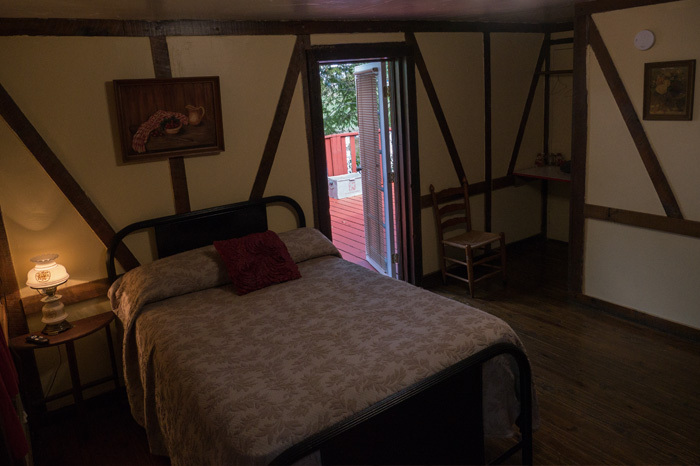 All cabin rates plus 12.5% tax rate are for double occupancy ($15 extra per person) and includes: full breakfast with a choice of scrambled eggs with ham, smoked sausage, pork boudin, beignets or Cajun platter (eggs, pork boudin, cracklin and hog head cheese), Toast, Coffee, and milk or juice is included. Breakfast is served in the main café from 8:30-10:00am Wednesday through Sunday. The Café is closed Monday-Tuesday and no breakfast is provided. 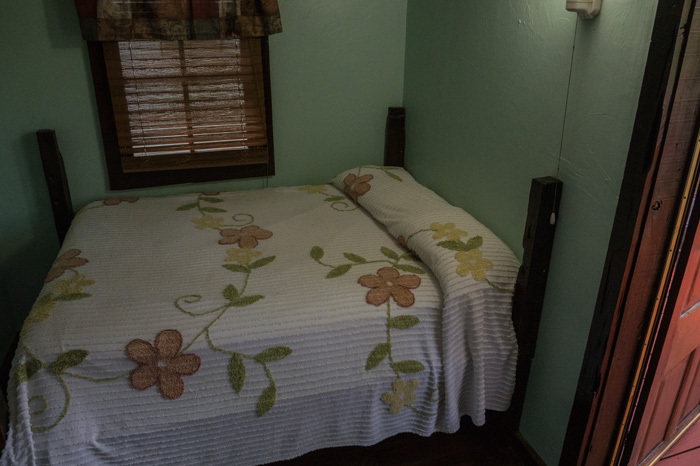 Cabins are heated/air conditioned. 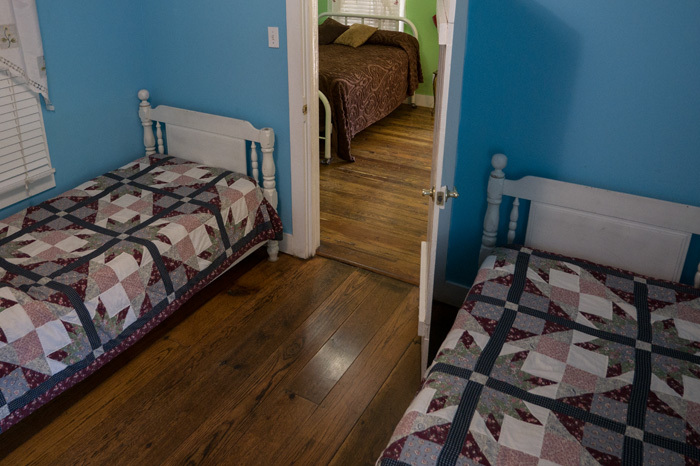 Linens, towels, cable TV and wireless Internet are provided. 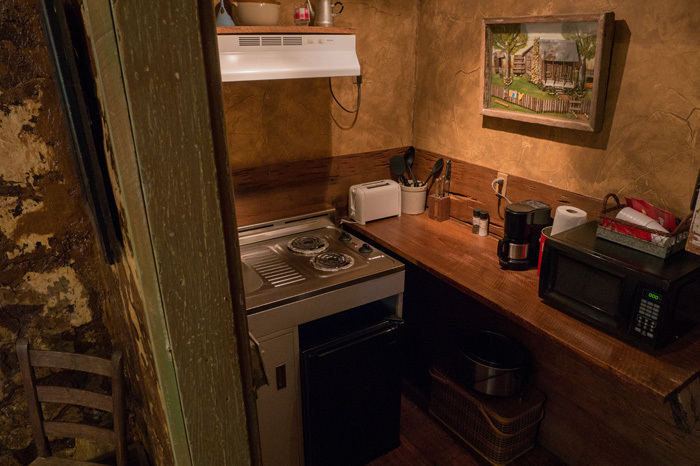 All cabins have coffee pots with coffee. Check-in is at 3:00 pm and check-out is at 12:00 noon. We prefer Cash or Debit card for payment and Visa/Mastercard/Discovery is required for conformation purposes only. 48 hour cancellation notice required. 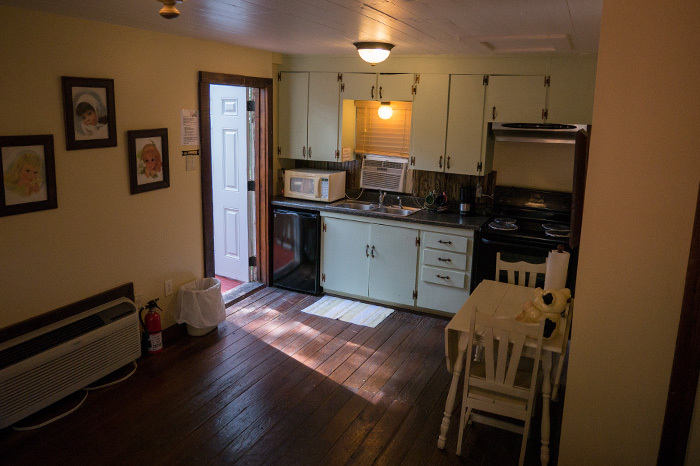 Cabins #8 and #14 are pet friendly. No smoking inside the cabins. 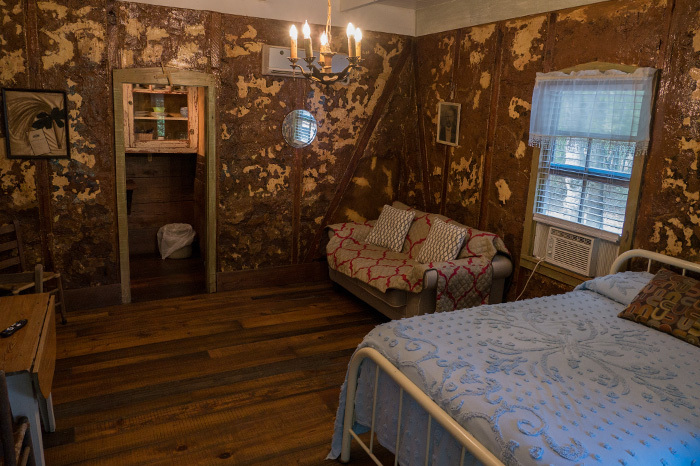 Rustic with old 1949 newspaper as wallpaper. 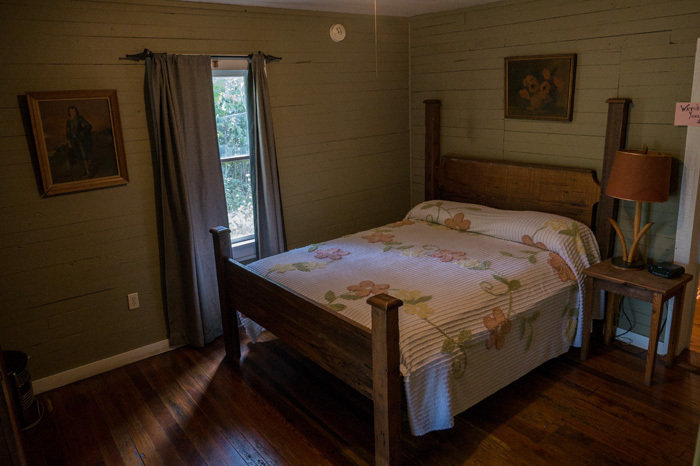 Homemade cypress wooden double bed. 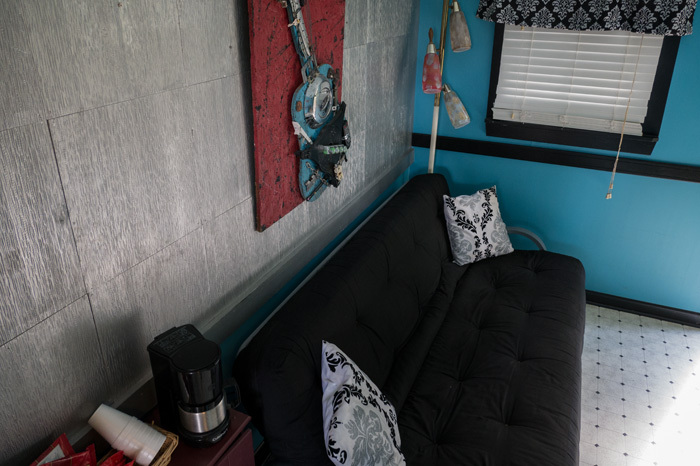 Antique metal glider as a sofa. 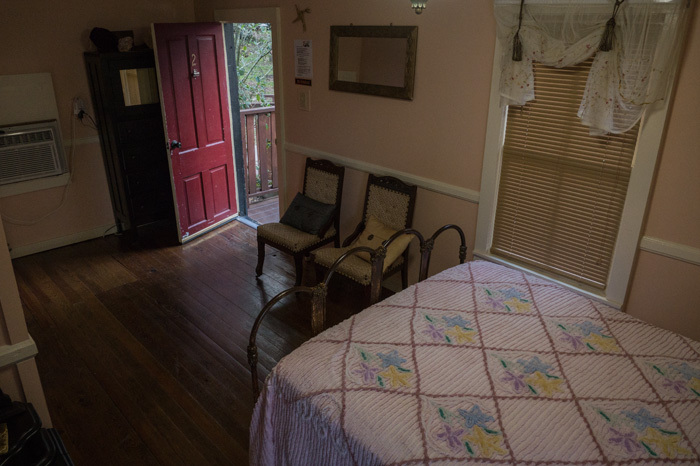 Private bath with shower and porch on Bayou Teche. Victorian style with old ladies purses, hats and gloves as decorations. 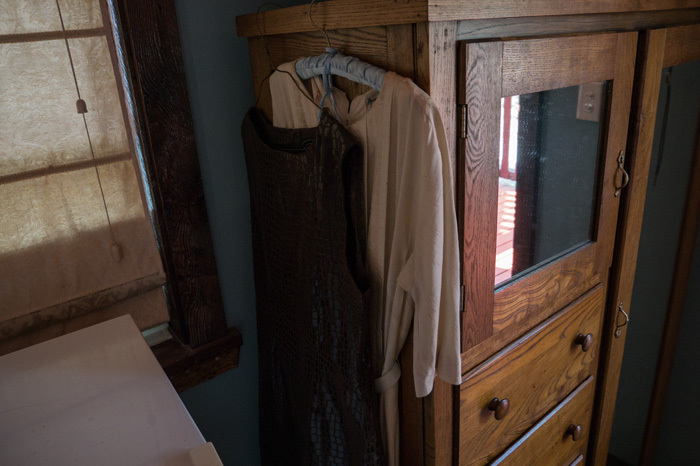 Antique double bed with armoire and vanity. 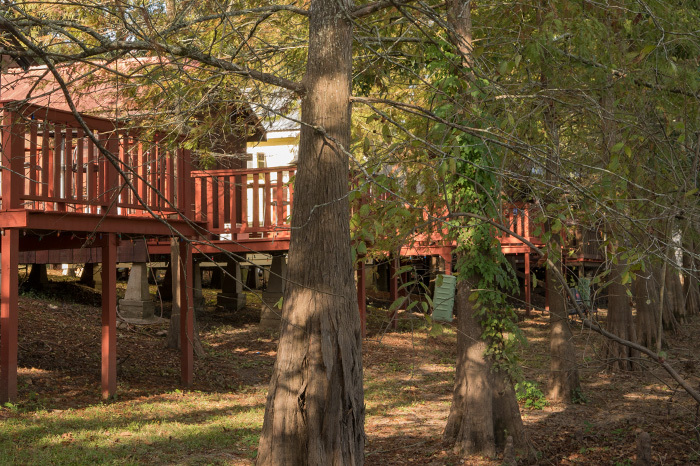 Private bath with shower and porch on Bayou Teche. 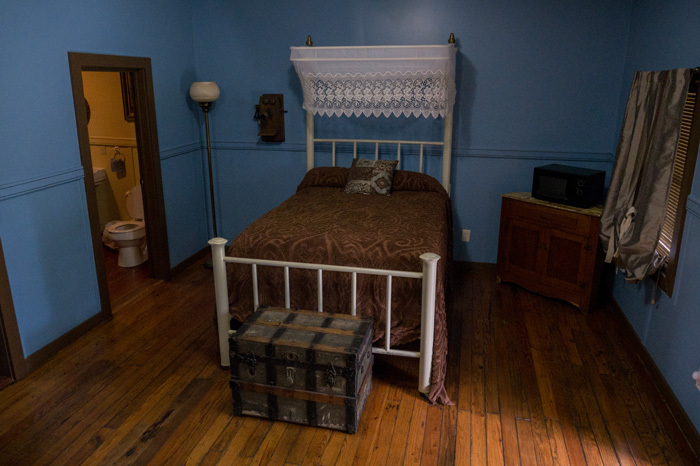 Rustic furnishings with double metal bed. Porcelain table and chairs with nice antique lamps. 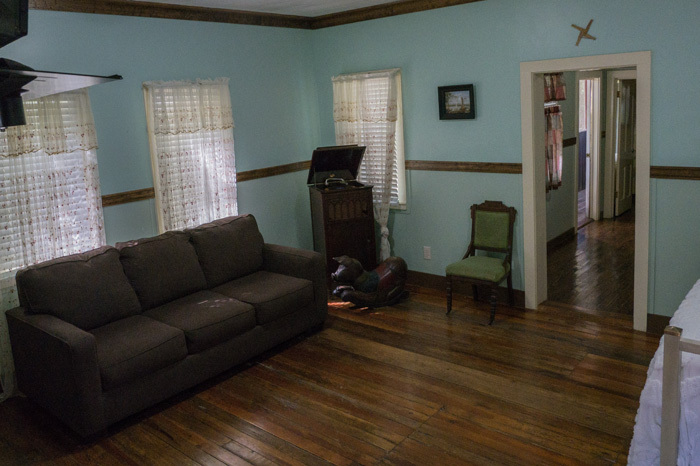 Private bath with shower with adjoining porch with #4 on Bayou Teche. 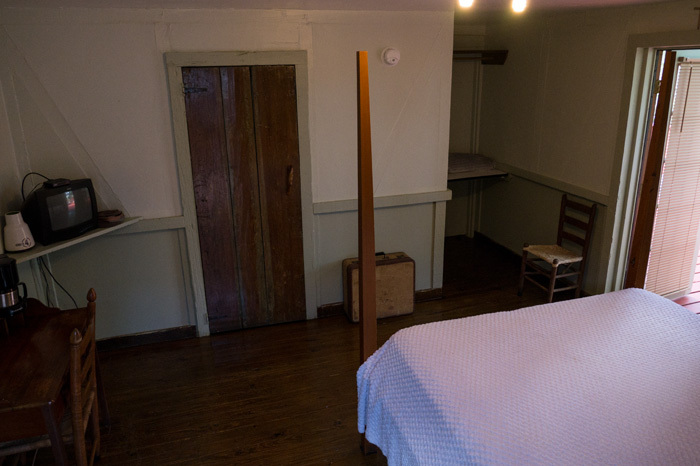 Rustic with homemade pencil post cypress queen bed and some basic antiques. 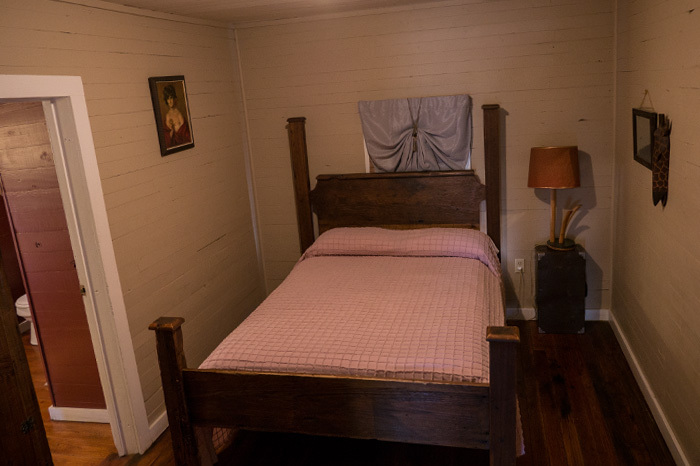 Private bath with shower with adjoining porch with #3 on Bayou Teche. 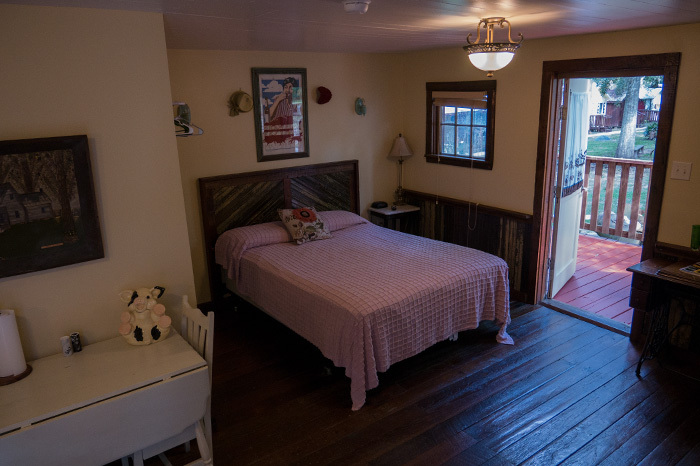 Sweet little cabin with front screened in porch, plantation chandelier and nice antique double bed. 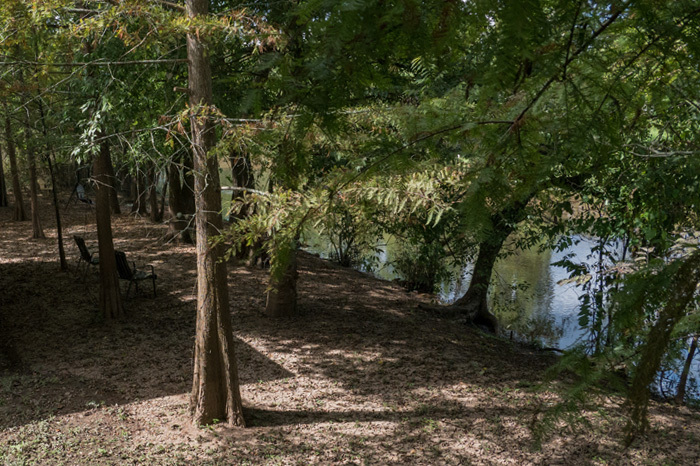 Private bath with porch on Bayou Teche. 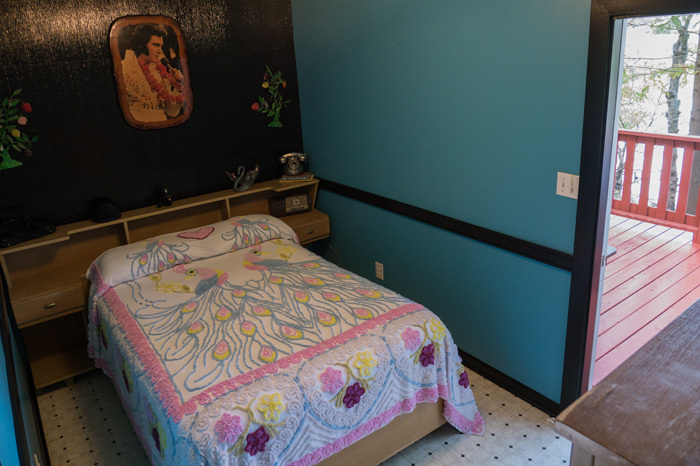 Most modern with Elvis and decorations from the 50’s. 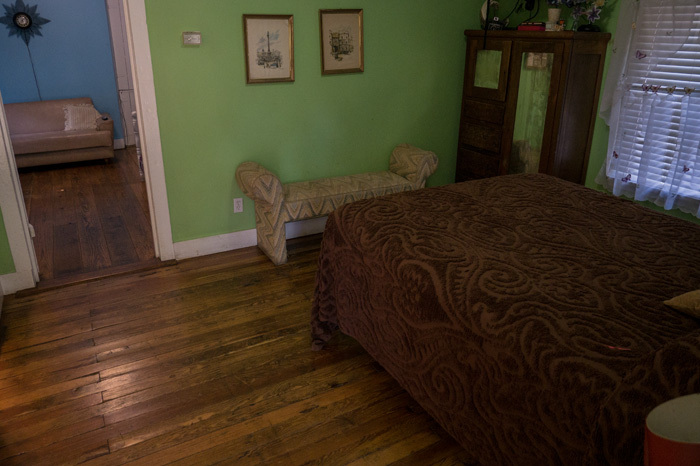 Double bed and living room with futon sofa that opens into a double bed. 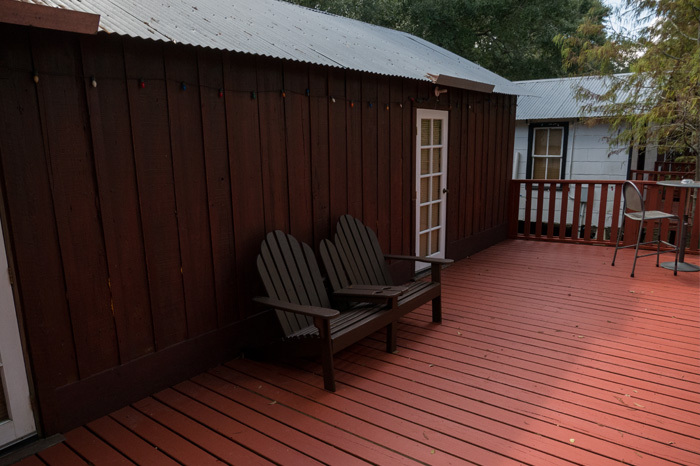 Private bath with shower and porch on Bayou Teche. 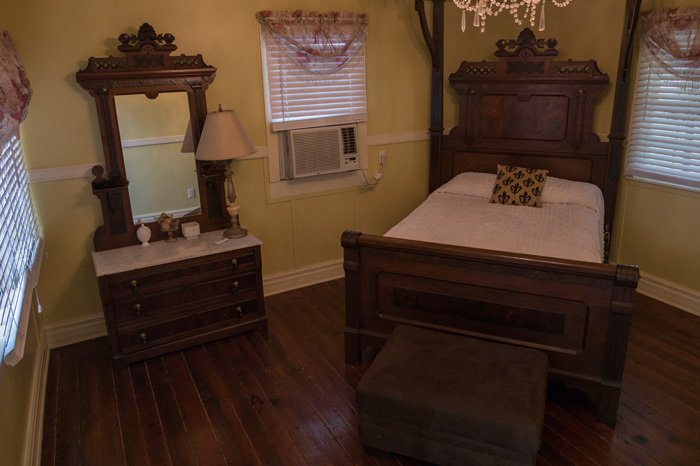 Dimming chandeliers, Eastlake canopy bed and furniture dated back to the mid 1800’s. 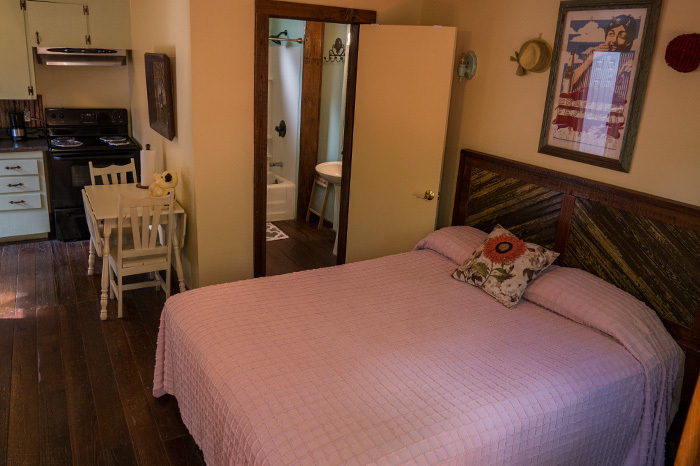 Private bathroom with claw foot tub and shower with screened and open porch on Bayou Teche. 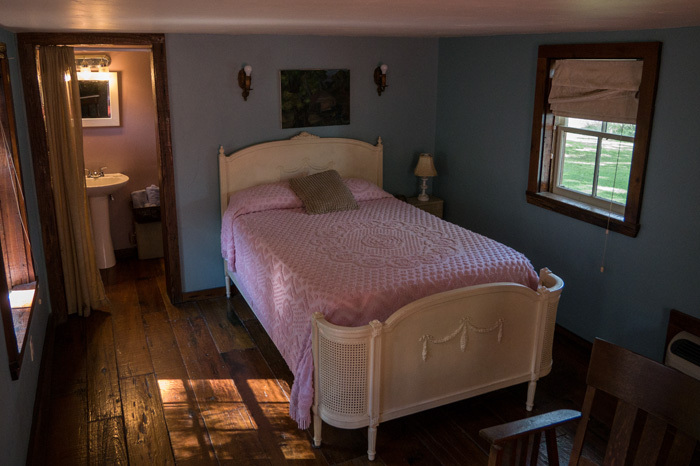 Two bedroom with homemade cypress double and queen beds with matching armoires. One private bath with tub/shower combination. 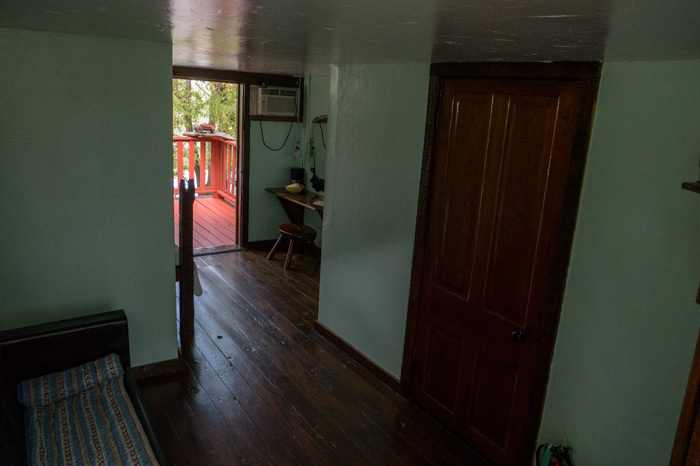 Living room with futon that opens into double bed, refrigerator, microwave and nicely decorated with front screened porch with view of all the cabins . Two bedroom with antique double canopy bed with living room combination. 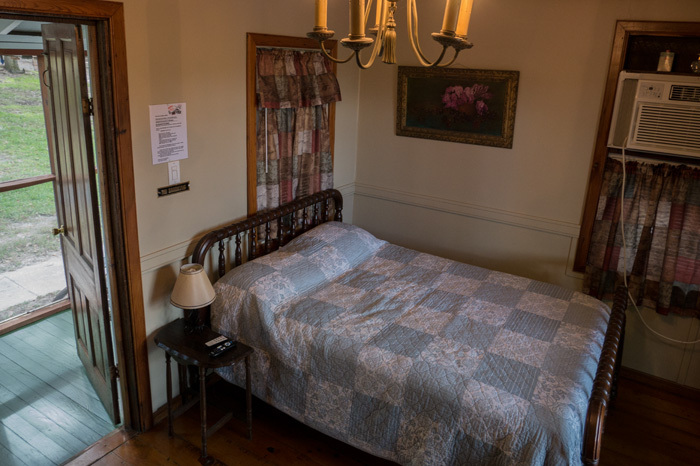 Private second bedroom with double bed. 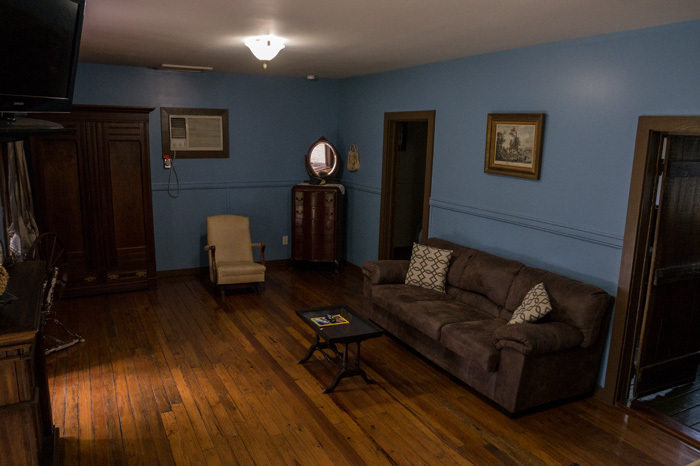 Antique furnishings. 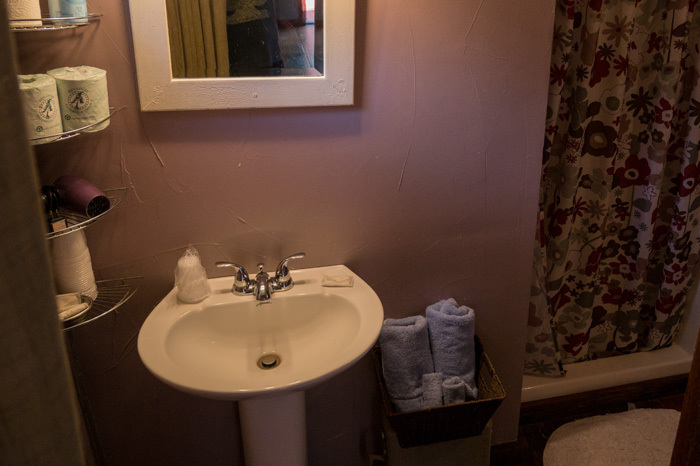 Private bath with tub/shower. 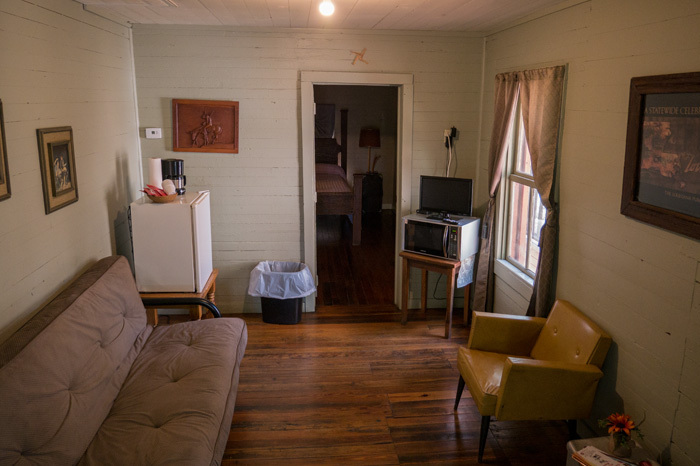 Complete with refrigerator , microwave with screened porch on Bayou Teche. 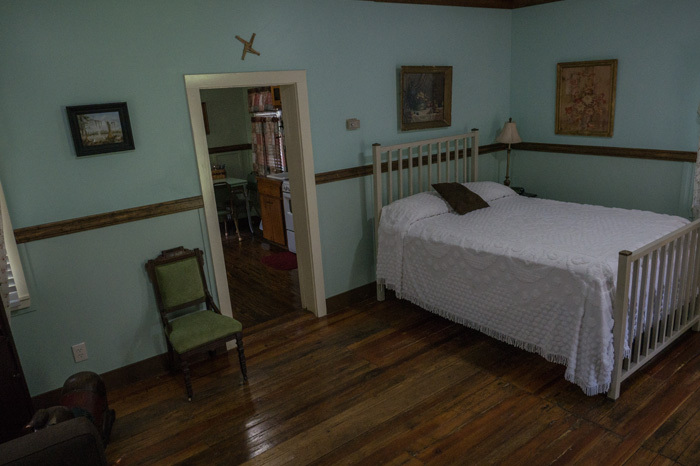 Queen size bed with nice antique furnishings with combination living room. 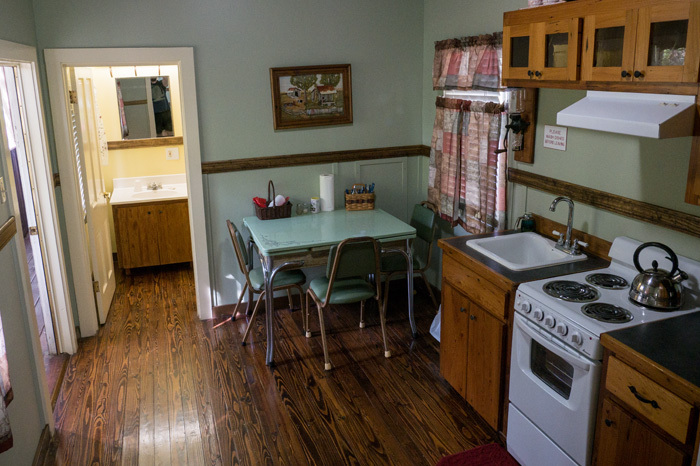 Full kitchen and all basic utensils to prepare your own meal. Private bath with tub/shower combination. 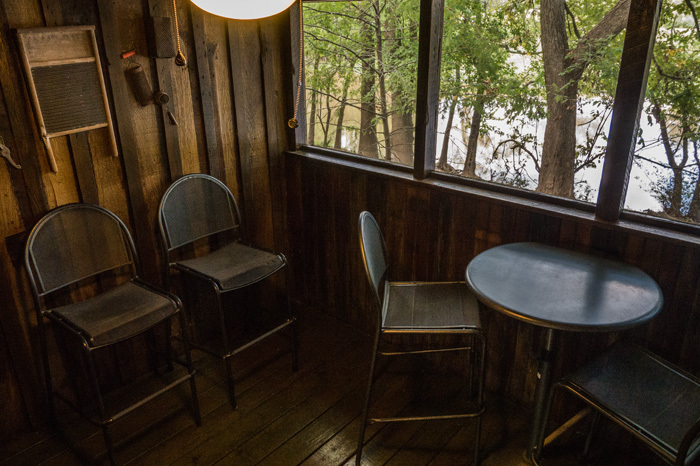 Back screened porch on Bayou Teche. 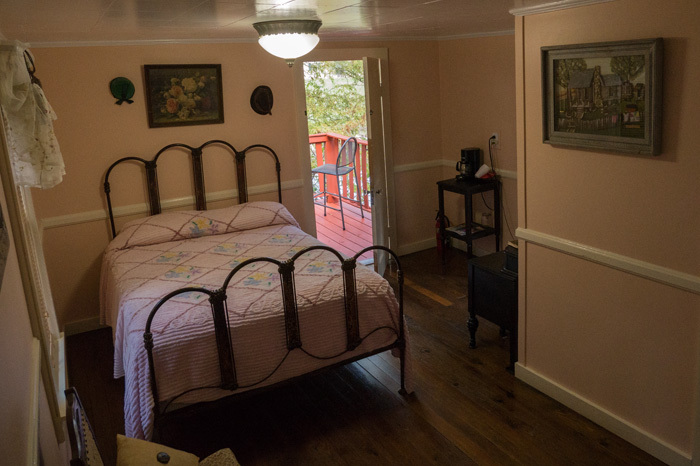 Bright and cheerful, 2 bedroom cabin queen, double and 2 twin beds. 50’s decorations and 50’s lamps. 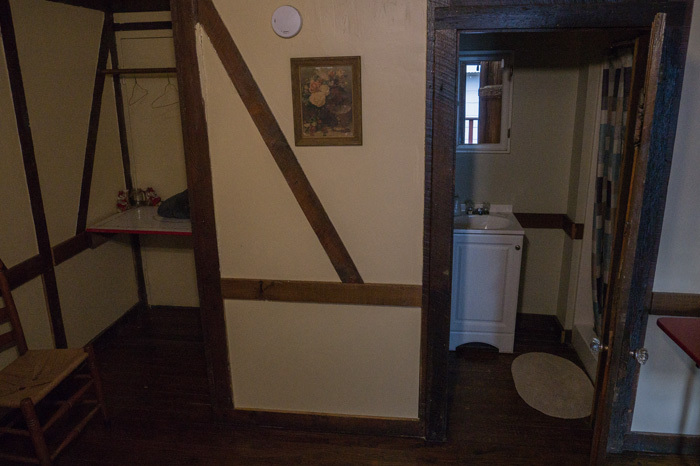 Private bath with tub/shower. Glass porch complete with mini kitchen and microwave. Front porch with view of all the cabins. 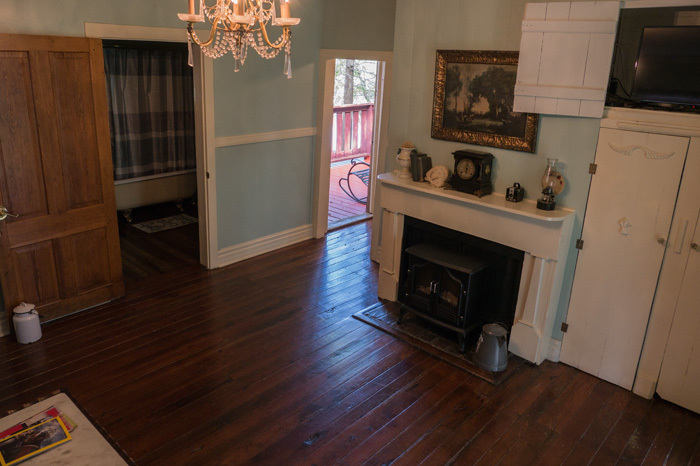 Beautiful 125 year old cypress floors, antique sconces and stained glass. 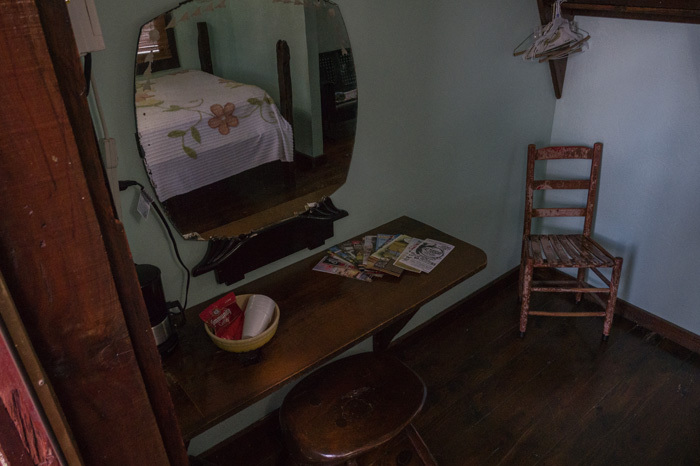 Double bed with microwave and refrigerator. 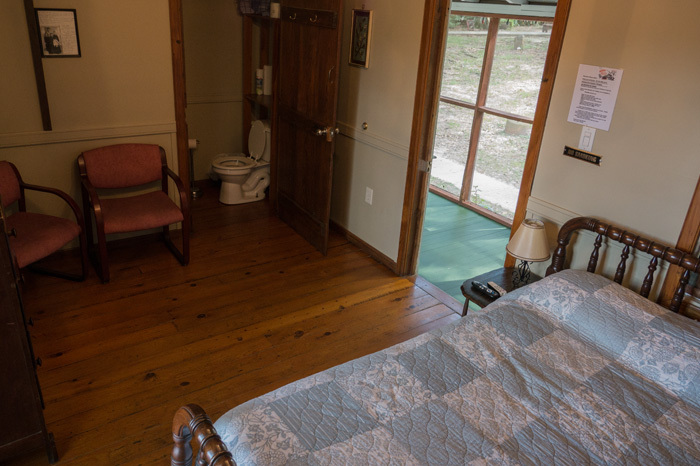 Private bath with shower and balcony overlooking the cabins. 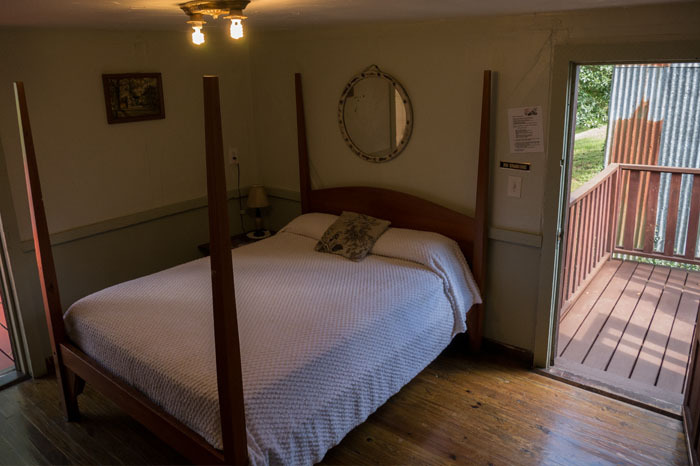 Beautiful 125 year old cypress floors, beaded board wall and headboard on queen bed, private bath with tub/shower combination and fully equipped kitchen with balcony overlooking all cabins. 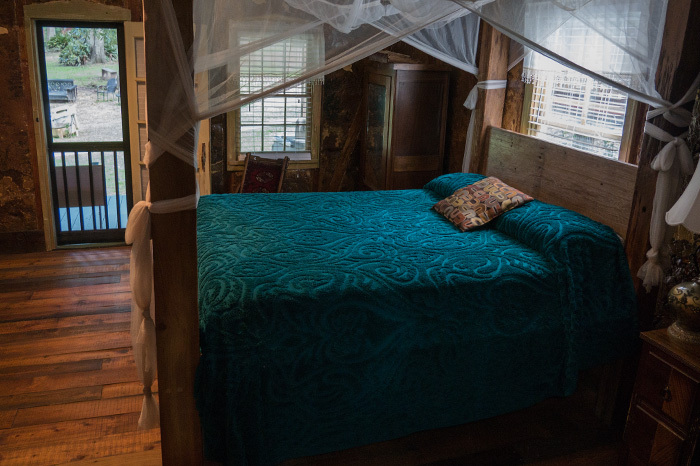 Built in 1848 using cypress wood from the swamps and the walls from mud and moss from the Bayou Teche. 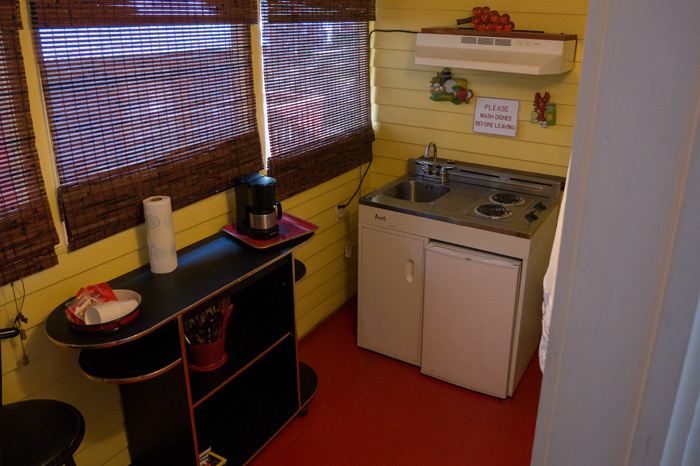 The ultimate unique Cajun experience with queen, double and mini kitchen. 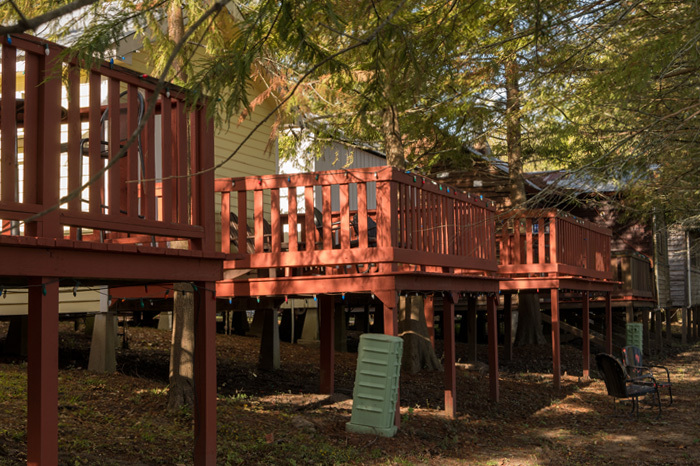 Porch with view of all the cabins.